The i-Tuke Sport Headband is a stylish and fashionable Bluetooth Headwear with a built-in Bluetooth headphones by Lil' Wiz. It is made from moisture-wicking and breathable spandex material which keeps your head cozy while listening to music, and answering calls hands-free. It has easily removable Bluetooth module & speaker, allowing you wash i-Tuke safely. it is ideal for jogging, yoga, biking and active lifestyle. 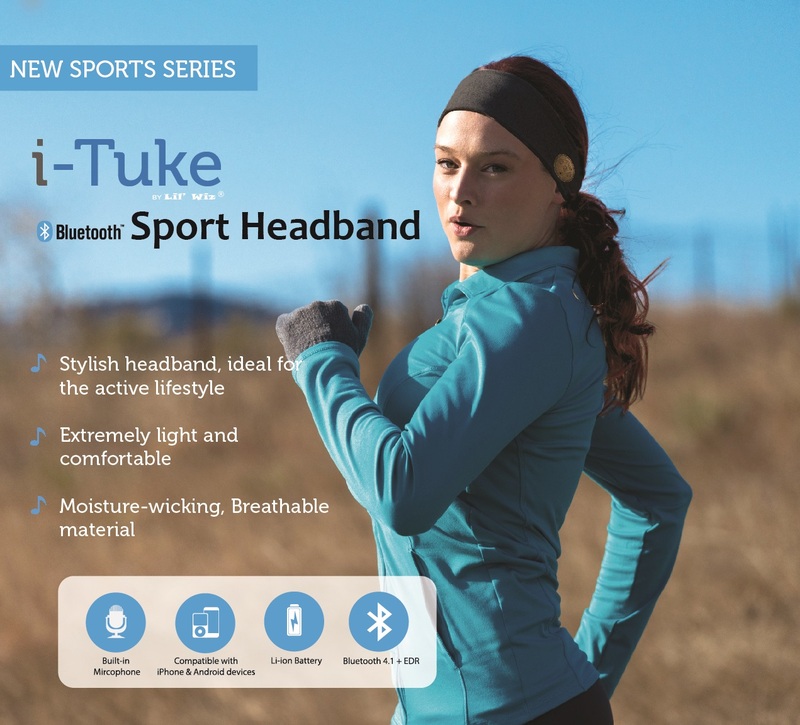 i-Tuke Sport Headband Connects wirelessly to your mobile devices using Bluetooth technology. The Bluetooth range is up to 30 feet. It works with any mobile phone, iPod, iPhone, iPad, Tablet, PC.